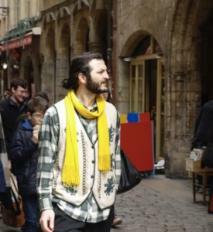 Yahya is a second year MPA student at the School of Public Policy at Central European University in Budapest. In his study, Yahya focuses on migration and education policies and how education can facilitate the integration of refugees and migrants in the host communities. He Was a lecturer of English at Isik University, Istanbul and holds a Master's in TESOL from the University of Aleppo. Also, Yahya worked as a volunteer teacher and teacher trainer for the Jesuit Refugee Service (JRS) in Aleppo. His main passion, as an Aleppian in exile, is working on the collective memory of the city and its intangible cultural heritage. 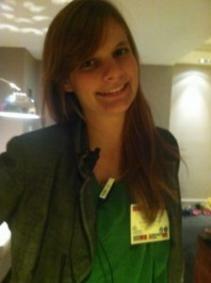 Michele is currently a Mundus MAPP student at the School of Public Policy at Central European University in Budapest. Her background is in grassroots organizations, participatory education and youth empowerment. Her recent experience has been teaching English in Catania, Italy and Hanoi, Vietnam. She holds a Cambridge CELTA and have taught a variety of levels and ages. Previously, she has worked in non-profits center around youth advocacy and leadership. Her research interests include human rights, post-conflict reconstruction and counter terrorism measures. This year she is collaborating on a project connecting Syrian refugees with access to higher education. 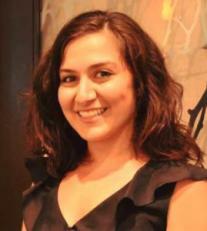 Nora Palandjian is a first year MPA student at the CEU School of Public Policy. She has significant experience planning international academic and cultural exchange programs for students and faculty. Prior to coming to CEU, Palandjian worked at the Bard College Center for Civic Engagement as the Al-Quds Bard Partnership Program Associate, Network Program Manager, and Administrative Director of the 2016 Study of the US Institute on Civic Engagement for student leaders from the Middle East and North Africa. A graduate of Bard College, Palandjian holds a BA in human rights and anthropology. Her current research interests include the use of media in human rights investigations and the role of higher education in emergencies. 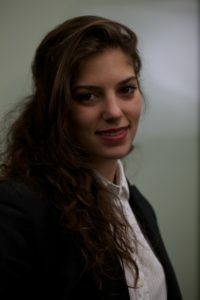 Anna Costa is a first year Mundus Mapp student at the School of Public Policy at the Central European University in Budapest. She previously studied at the School of Oriental and African Studies where she graduated in Development Studies and Law. She was simultaneously engaged as president of Student Hub at SOAS student society where she organised volunteering opportunities for other students. Her recent interests of studies are terrorism, counterterrorism and post conflict resolution. This year she is involved in a policy project that focuses on the access of Syrian refugees to tertiary education. Tamilla worked as a program manager of Democracy Commission Grants Program at the US Embassy in Kazakhstan. Her major and most recent project was Women Empowerment Project. It was a follow up program resulted after Secretary's Clinton initiative on Women Economic Symposiums worldwide in 2011. This regional program's aim is to educate, empower and provide basis of financial education thus independence and security for girls and women in Central Asia. Tamilla's interest in the Passion Project on involvement of refugees in reconstruction processes is derived from her work with ethnic Kazakhs (oralmans) returning back to Kazakhstan from Eastern China. She monitored US Embassy Projects on including returnees in social and political life in host communities. Attila was graduated in Cultural Anthropology in 2000, he has 10 years long work experience in the civil sector, working on social inclusion and sustainable development. Recently he is working in segregated rural (mainly Roma) communities on low-tech sustainability projects that integrate environmental and social sustainability with concrete technological solutions (appropriate technologies), such as producing fuel for the winter using agricultural waste (bio-briquette), insulation with straw or developing cheap and efficient stoves. In the Passion Project team Attila can contribute with his proficiency in project management, community development and working with people from different socio-cultural background. The main attractiveness of the Passion Project for him is the element of empowerment, including the people affected by a problem in the process of dealing with the problem. Born and raised in Sichuan, China, Yuxin Wang graduated from Chengdu Institute Sichuan International Studies University in 2013 with a BA in English. During university, he served as the editor-in-chief of the Voice of Campus Broadcasting Station. Before coming to Central European University, he taught English in rural Thailand and interned at China's largest social enterprise Canyou Group to help improving the lives of the physically challenged people. Joining the passion project team at the Centre for Conflict, Negotiation and Recovery, Yuxin works with his team members Attila Mester and Tamilla Dauletbayeva to research and design mechanisms to bring Syrian refugees into the policy process surrounding the reconstruction process in the cities after the sever warfare.